Today is Wednesday, Nov. 21, the 325th day of 2018. 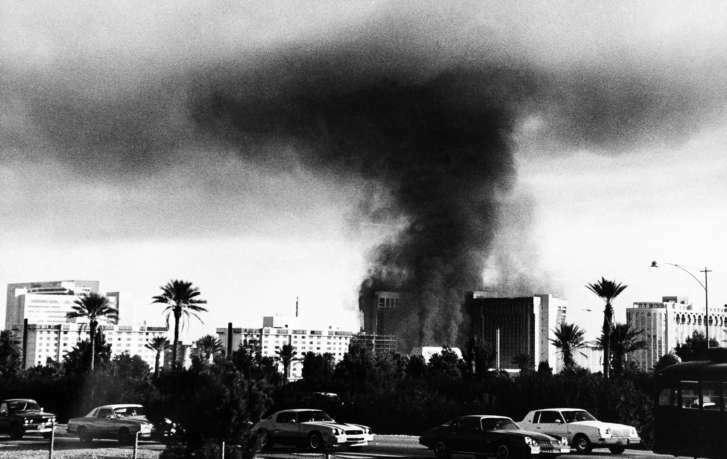 On Nov. 21, 1980, 87 people died in a fire at the MGM Grand Hotel in Las Vegas, Nevada. In 2001, Ottilie (AH’-tih-lee) Lundgren, a 94-year-old resident of Oxford, Conn., died of inhalation anthrax; she was the apparent last victim of a series of anthrax attacks carried out through the mail system. Five years ago: Sweeping aside a century of precedent, Democrats took a chunk out of the Senate’s hallowed filibuster tradition, clearing the way for speedy confirmation of controversial appointments made by President Barack Obama; Republicans warned Democrats would regret their actions once political fortunes were reversed and they could no longer block appointments made by a GOP president. Fifty-four people were killed in a supermaket roof collapse in Riga, Latvia. Three women were freed after being held captive 30 years in a south London home.